From 09:15 to 18:00, with plenty of stops – breakfast, lunch and late afternoon coffee. This was Harley-Davidson’s official 110th year Anniversary Model Launch route. The route takes in a number of mountain passes, fast bits, twisty bits, scenic routes and more. From Tyger Valley Harley-Davidson take the M16 Malmesbury Road then use the R312 to Wellington. Over the Bain’s Kloof Pass via the R44, via Slanghoek through Rawsonville and stop for lunch in Villiersdorp (via the R43). 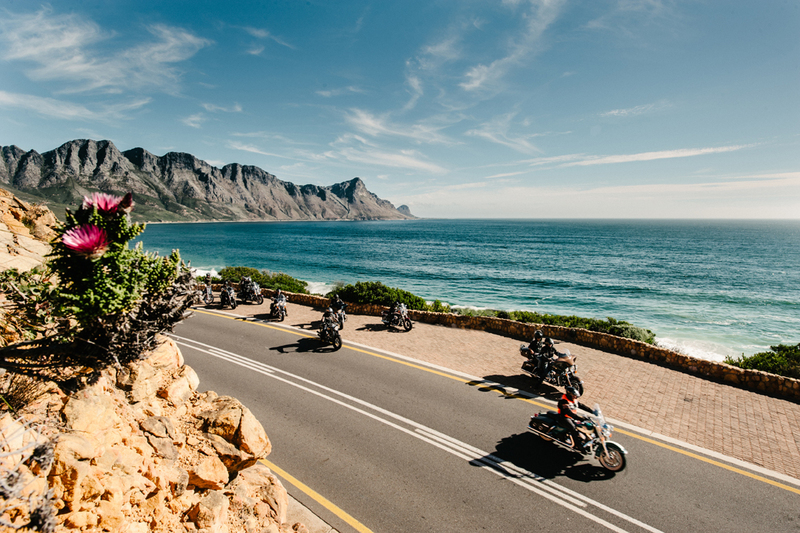 Then from Villiersdorp to Botrivier take the R43, then to Kleinmond (R43), round Rooi Els (R44) to Gordons Bay. The next stretch from Gordons Bay via the N2 and past Macassar via Strandfontein on the M9 to Muizenberg. 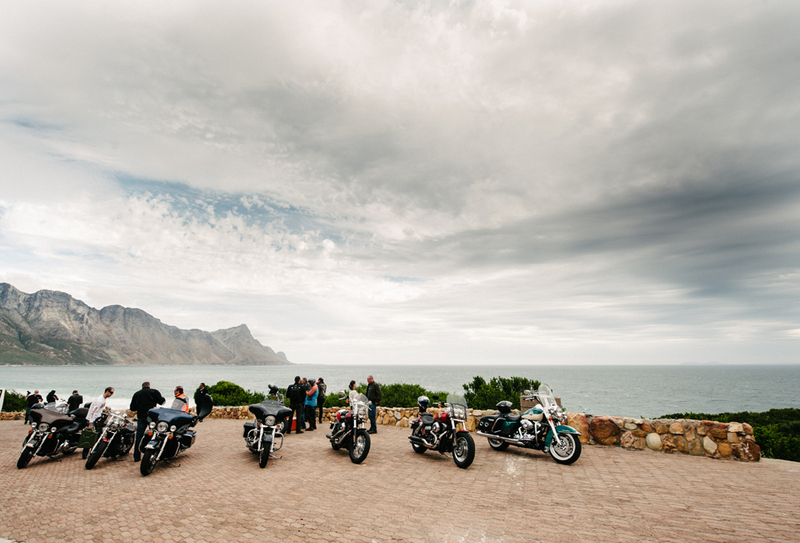 Last leg to Harley-Davidson Cape Town via Steenberg (M3) and the M3/N2 into Cape Town. We rode the route on a selection of Harleys and my pick on this trip was the FLHX Street Glide. 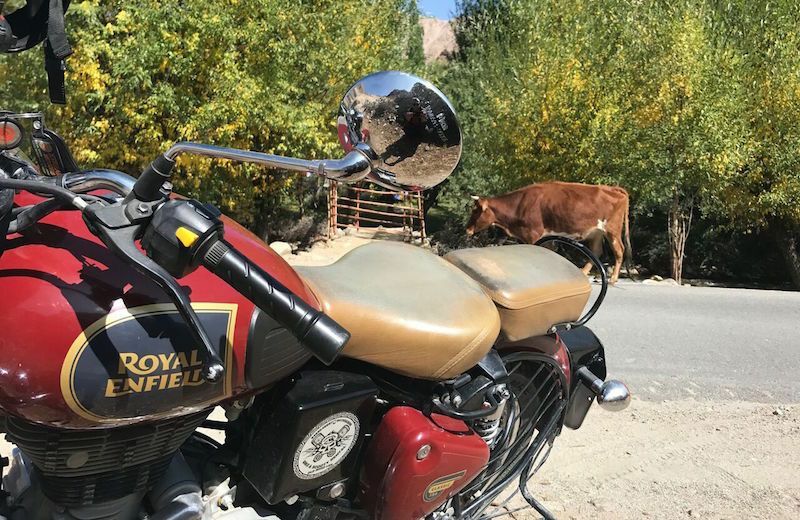 The route is suitable for anything with two wheels. Petrol stations can be found in Rawsonville and Villiersdorp and again in Kleinmond. From Gordon’s Bay the fuel stations are plentiful. Somerset West has a Yamaha dealer: 021 850 0080. 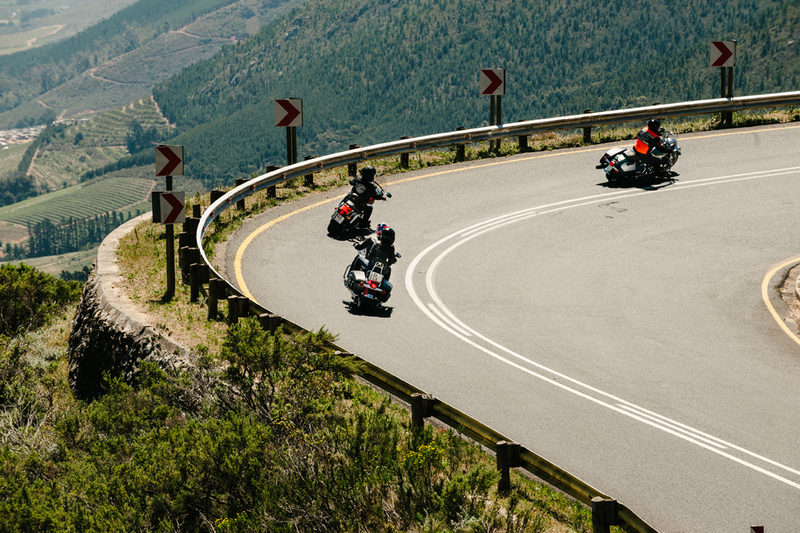 The Bain’s Kloof Pass has some potholes to keep an eye out for, but nothing serious. Special care should be taken in shadowy sections, as they sometimes mask wet spots where water runs off the mountain. As always, look out for children in the area – some will throw stones for now reason. Also be cautious of stray animals wandering onto the road. Expect to pay anything from R50 to R100 for a decent breakfast anywhere on this route. Add about two tanks of fuel and you have your day’s budget worked out. Light-weight waterproof jackets and pants came in handy as we had some rain. 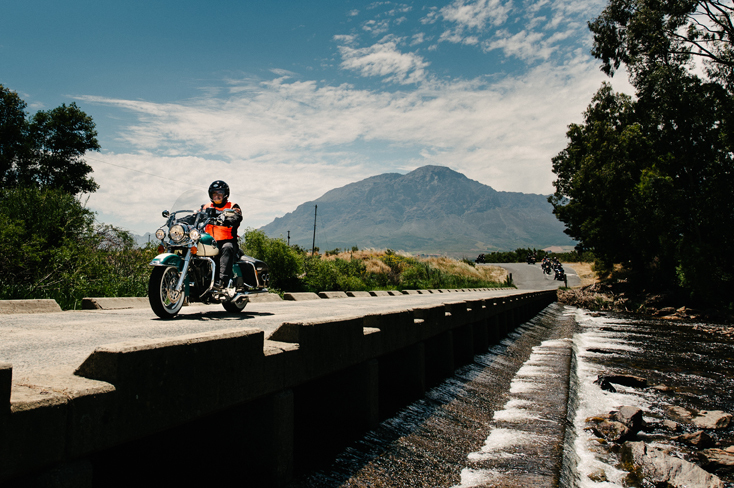 The bridge over the Theewaterskloof dam offers a good photo opportunity. The top of Bain’s Kloof pass has a paved rest stop, ideal for taking in the breathtaking view. Stop for a moment on the back roads between Slanghoek and Rawsonville to listen to the sound of silence (after the exhaust notes have died down in your ears). Best enjoyed at a leisurely pace, this route is ideal for a two up ride. Take your time on this route – a full day out with good friends and decent breaks in between will add to the flavour of this awesome ride. 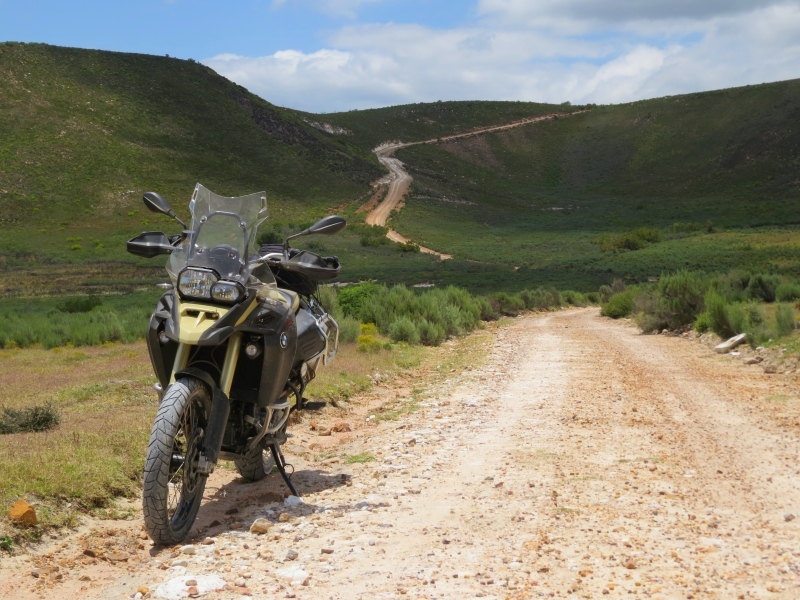 It is quite long and takes in the best roads this part of the Western Cape has to offer. Carry a decent camera and cool drinks for the rest stops. 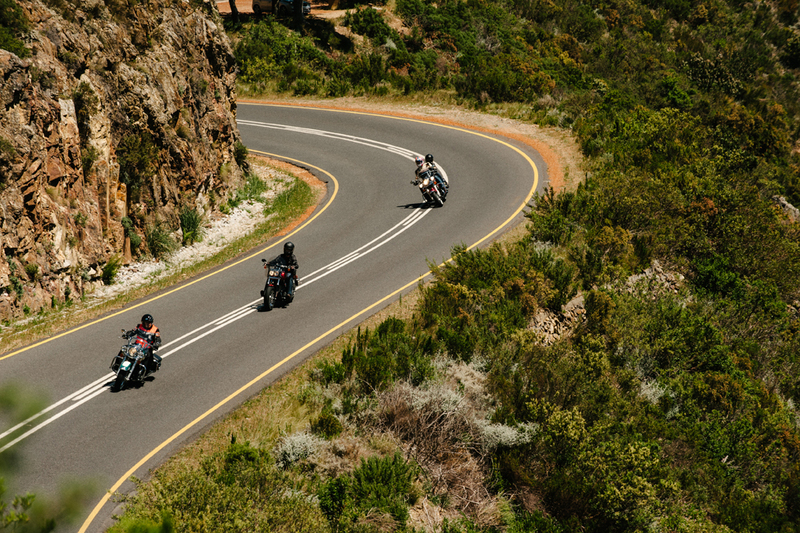 Beware of snakes on the Bain’s Kloof pass as they tend to slither across from time to time. Make sure you have the local cell phone emergency number (082 911) on your phone – emergency medical services run from Franschhoek and are only a few minutes away. The nearest hospital on this trip is in Worcester: +27 (0)23 348 1100.